Megan Thomas is running for her life. From Chicago, from the mob, from her controlling husband. 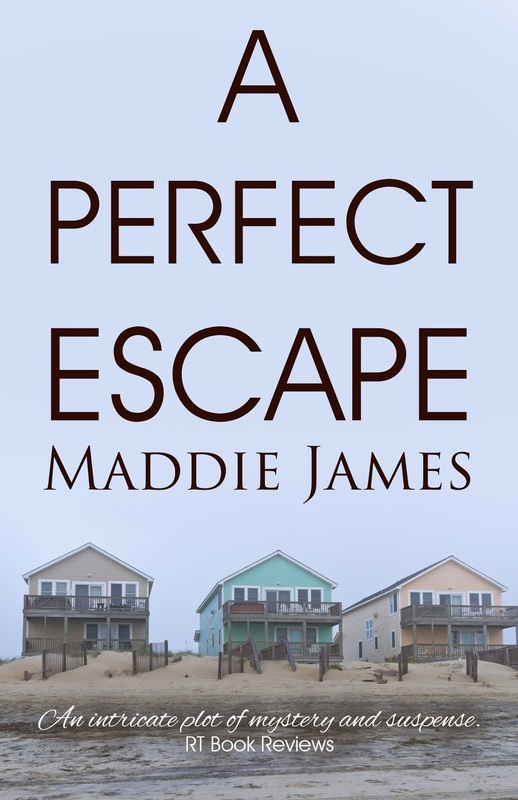 She runs to the only place she ever felt at peace, a North Carolina barrier island she remembers from her childhood. Now she only wants to get lost--lost in someone else's life. A new identity, soothing ocean winds, and a quiet existence are all she needs. The hot-shot assistant district attorney lay face down on the cold slab of concrete. His hands tied tightly behind him caused his shoulders to bow into an unnatural backward arch, even though his body fell slack with fatigue. Bruised and battered, he lay surprisingly conscious, his starched white shirt now limp and soaked with blood. His blood. Thick bubbles of scarlet gurgled from his nose with each labored breath he took. He looked somewhat like a dying fish gasping for air. But he hung on a lot longer than she’d expected. Especially for all he’d been through the past hour. The horror of it all seized her and wouldn’t let go. If it weren’t for the fact that her own hands were pulled into a vise grip behind her, forcing her into an upright position, she would have bent at the waist and retched all over the floor. The stench of imminent death forced bile into her throat. The shock alone of what was happening—directly in front of her—should have rendered her immobile. She never dreamed Bradford would carry things this far, that he was capable of creating terror of this magnitude. Without warning, a silver flash arced through the charged atmosphere. She instantly felt, as well as heard, the resounding echo of a single gunshot and simultaneous rip of the bullet. The force sent blood, matter, and tissue flying, spattering her face, clothing. She was that close. Too close. An ungodly scream, like the shriek of a wounded animal, rent the air and she realized it came from her own throat. Immediate terror so powerful it nearly rocked her off her feet gripped her and the nausea took over. Her legs went limp and she did what she didn’t want to do, vomit down the front of her shirt. Teetering on the edge of consciousness, her head hung, the hands holding her from behind the only thing keeping her from falling onto the floor. Her own pain brought her quickly back to her senses as someone snatched and yanked a handful of hair at the back of her head, forcing her to look straight ahead. Into his face. His eyes. His evil stare bit back with a sadistic power she never knew he possessed. How often she had seen those eyes look at her so differently. In adoration. In excitement. His power over her, over most women, was his charm. His charismatic demeanor, his enigmatic ability to turn a woman into putty within thirty seconds, their downfall. And she fell into that trap. Probably more deeply than most. But she’d never seen the veil of evil cast over those eyes before. Not like this. Not until now. She’d known his reputation as a shady dealer, not above an illegal act—an egotistical, self-centered, domineering, power-hungry sonofabitch. But she never expected he was a murderer. He jerked her hair again, physically moving closer. He brought the pistol up to her chin, the cold, hard snub jabbing into her tender flesh. So vile, so despicable. She found it difficult to keep her gaze pinned to his face, into his eyes. But she needed to. She prayed if she kept the connection he might remember something, anything, that would endear her to him and he wouldn’t kill her. She responded with a quick jerk of her head. He yanked her closer. She nodded in quick jerks, probably more out of reflex rather than a conscious effort. An uncanny shiver of relief melted over her. For whatever reason, he needed her around a little longer. She wasn’t entirely sure, however, if that was a good thing or bad. 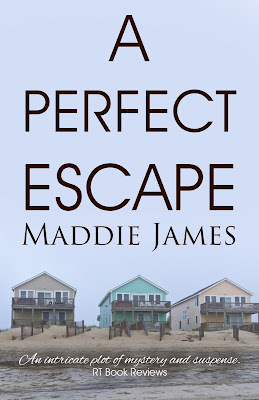 Megan Thomas whispered the words, trying to calm herself as she peered through the filmy sheers hanging at the floor-to-ceiling casement window in her living room. She drew in a ragged breath, trying like hell to settle her jittery nerves. The black, late-model sedan sat parked far at the end of their winding drive, to the left of the street lamp’s glow. She stood slightly behind the Chippendale chair she’d bought after she and Bradford had married and in front of the exquisitely framed copy of the Picasso they’d found in Spain during their honeymoon. Once upon a time, all the polish and sophistication of the material possessions in her life meant the world to her. Funny how little they mattered to her now. She gripped the top of the upholstered chair back until her fingers hurt. Impossible. She couldn’t. She dared not allow herself to relax. Not for one second. She’d planned this day for too long. Entirely too long. If she could only make it through the next few minutes, hours, days, she’d have her life back. Finally have her life back. Glancing down at her clothing, she knew she looked nothing like herself. So far so good. She didn’t want any semblance of Megan Thomas to follow her out of this house. When she left the front door in a few minutes, she would leave Megan Thomas behind and become Meg again. Just plain old Meg. Too long in coming. Her main fear now was that Cindy, the girl from the mall, wouldn’t keep her word. She ought to. Megan had given the girl a thousand dollars cash up front and promised her five thousand more if she showed up at eight o’clock this evening. Not to mention the trade they’d made that afternoon—her Jag for the girl’s late model Honda. Sure it seemed like a lot of money, but she had a lot of money and she was buying her freedom. It was no easy feat to accomplish all she had the past two days. Of course she couldn’t have done it without Rudy. And Rudy’s recent urgings for her to act now, while Bradford was out of town, fit perfectly into the plan. The only hitch being that Cindy didn’t get the car until she showed up tonight. And she didn’t get the five thousand dollars until she stayed for three whole days and nights in this house. Then she would meet Rudy at the mall for the payoff and the papers to the Jag. Rudy, bless her soul, Meg’s only real friend in the world. If it hadn’t been for her, she never would have had the courage to escape. And her limited window of opportunity dictated that it all had to come together within the next few minutes. It had to be now, her only chance. Bradford planned to make his bid into the political arena when he returned from London. She had to get out now before he charmed his way into the hearts of his constituents with her on his arm. If she didn’t leave now, he’d never let her go. He wouldn’t stand for a divorce, let alone a scandal. She couldn’t live with him any longer. In fact, she suspected that if she lived with him much longer, he’d surely kill her. This was her only chance.